Join us on the farm for some Halloween fun over the Half Term break! Pick and carve a pumpkin from our PUMPKIN PATCH! Listen to a spooky tale with the WICKED WITCH! Enter our FANCY DRESS competition for your chance to win prizes! And of course all of the usual fun on the farm! Adults who wish to participate in Halloween activities must be accompanied by a child participating in the Halloween event. Child admission includes 1 pumpkin, entry to haunted house & story with the witch and a chance to enter our fancy dress competition. 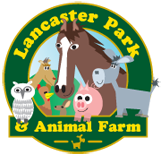 Babies (under 12 months) enter the farm for free, if your baby would like to carve a pumpkin and participate in the Halloween activities the cost is £4.00. There is no need to make a booking in advance for this event, its fine to just turn up and pay on the day. (Please bring along cash on the day as we do not currently have a card machine). Last entry to the haunted house and pumpkin carving is 3pm so please ensure you arrive in good time to enjoy all of the activities.